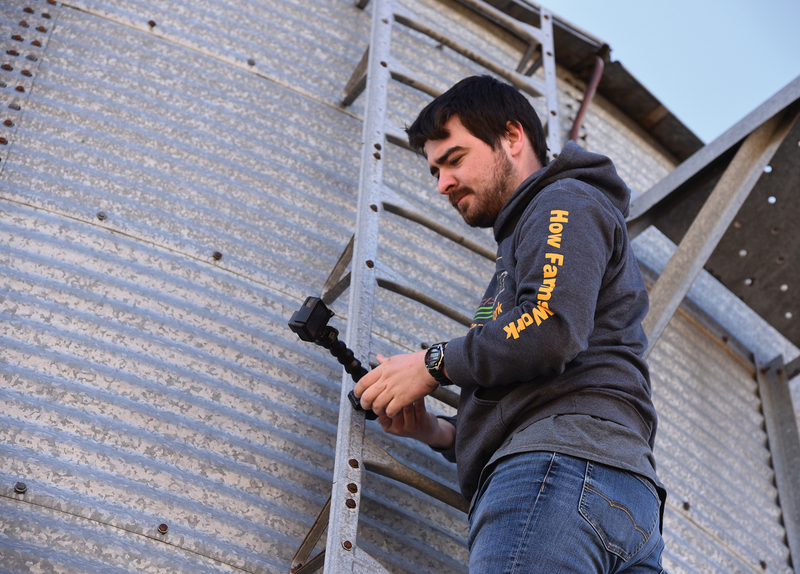 Some of the best ideas come at the most unexpected times, at least that is what happened to Grant County Farm Bureau member Ryan Kuster. 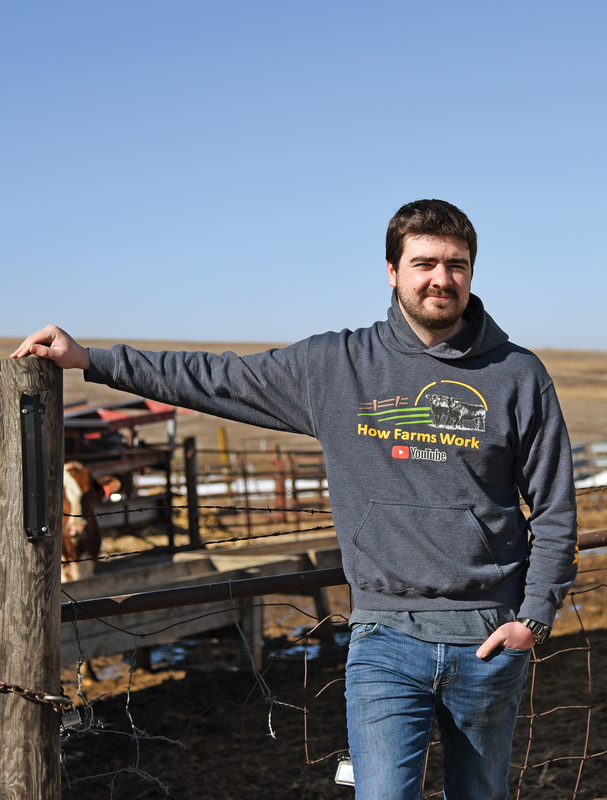 As a UW-Platteville student Kuster found himself in the computer lab one day in 2012 contemplating how he could return home to the farm and ensure he and his parents could make a livable wage. Kuster discovered an interest in photography while in high school after his brother brought home the school’s yearbook camera. He signed up for photography classes in school and soon found himself starting a small photography business. Throughout college, Kuster made extra money through the business. In addition to photography, Kuster had taken some short video clips around the family farm and uploaded them to YouTube. While sitting in that UW-Platteville computer lab, he noticed those short video clips had more than 14,000 views since being shared. These were short, simple videos that showed basics tasks and life on his farm. To farmers and agriculturists, the daily routine of farm life can seem monotonous; however, this routine is extremely interesting to those not living or working on a farm. Kuster also has seen a lot of interest from farmers who want to learn a new way to go about a task. Serving as a farming resource comes naturally to Kuster as agriculture has a long history in the family. Kuster’s grandparents purchased the first of their farms in the 1950s where they milked cows until the couple died in 2014, at which point the family transitioned to beef cattle and crops. Today, the Kuster family grows 1,000 acres of crops and pasture for their 100 head of beef cattle. “I can share a farmer’s perspective on a lot of different angles since I grew up milking cows but am now actively involved in the beef and crop business,” Kuster added. Kuster wants to continue working with his family to expand the farm. His success on social media has helped him find his place on the farm and he hopes to continue to grow brand recognition and become an online resource for information on farming. 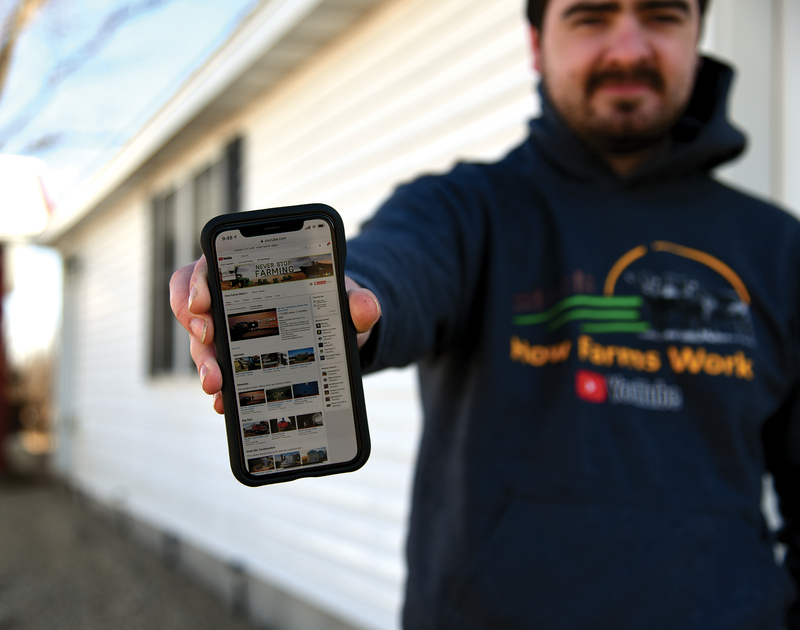 “In a way, my YouTube channel is already an online resource for farming information, but I want to expand this resource and further organize the videos, so everything is easy to find,” Kuster said. 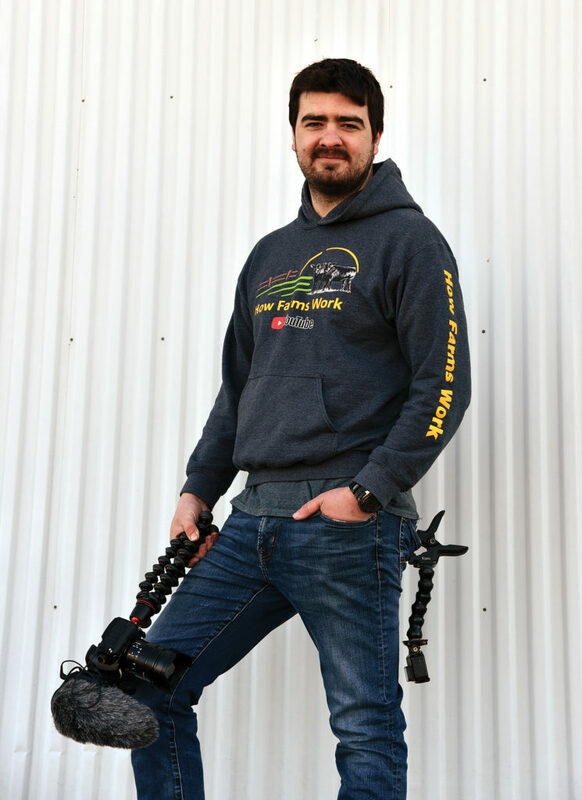 The ‘How Farms Work’ channel has gained national and international attention – it has more than 210,000 subscribers with more than 15 million views each year. The channel’s most popular video is titled, “Daddy Won’t Sell The Farm,” which has more than 1.3 million views. 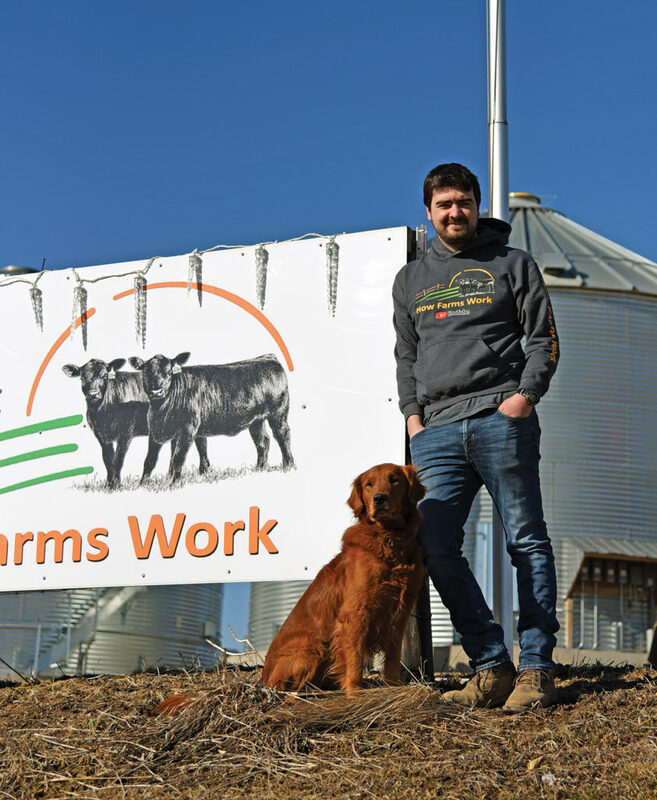 ‘How Farms Work’ also can be found on other social media channels including Facebook and Instagram, with more than 41,000 and nearly 67,000 followers, respectively. The social connection does not stop there, in true transparency, Kuster also has brought his brand to Snapchat where he shows pictures and videos of daily farm tasks, videos he is working on and links to the final projects. Videography is a learning process. Kuster credits watching movies as the way he learns the most. In the beginning, Kuster says he used his photography camera to shoot video footage because that is what he had access to on a limited budget. As he became more involved in his YouTube channel and started making extra money, he wanted to reinvest it back in his goal of growing his online resources. Today, Kuster uses professional recording equipment including GoPros and a high-end cinema camera, like what is used in Hollywood. “I prefer the GoPro camera since it is portable, and I can take some unique shots to showcase unique angles of agricultural life,” Kuster said. Kuster shared that content is king. “If you don’t have content that people enjoy, the equipment you use won’t make a difference,” Kuster advised. With an entrepreneurial spirit, Kuster said that if one idea doesn’t take off, try another. He always tries new ideas and approaches to making his content more interesting. Some of Kuster’s advice for finding content is to talk to family and friends and find out what they want to learn about agriculture. If one person has a question, there is a high likelihood that many others are wondering the same thing. Agricultural advocacy is important to Kuster because he, like others in agriculture, gets discouraged by the false and sensationalized information on the internet. Connecting with people about agriculture goes beyond social media. Kuster joined Farm Bureau to connect with like-minded individuals and grow his network. As a first-time attendee of WFBF’s YFA Conference in 2017, he received a sponsorship to attend the conference from Rural Mutual Insurance Company. Continuing his Farm Bureau involvement, Kuster volunteered at Day on the Farm at Digman Farms. Whether online or at a Farm Bureau event, Kuster is committed to advocating for agriculture and connecting people to his family farm. What once seemed like a fun photography hobby has turned into a full-blown agricultural advocacy venture that has allowed Kuster to find his place back home on the family farm. To learn more, or view Kuster’s videos, visit ‘How Farms Work’ on YouTube. Story and photos by Sarah Marketon. Original version appeared in the April|May 2019 issue of Wisconsin Farm Bureau Federation’s Rural Route. What an excellent way to live the farm life! Ryan and his family have provided a connection to my roots. I’m a UWP grad from Spring Green. My graduate counseling class helped set up the counseling office at Potosi. Makes me proud!